I'm sure you've heard about Cookies Kids by now, and if you follow me on twitter you definitely have seen my tweets go by about my recent shopping at Cookies Kids. Last week my son and I took a trip to the 510 Fulton St. Brooklyn store, one of the seven locations here in the city. 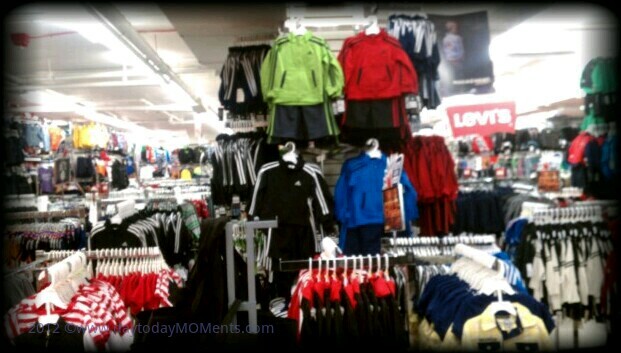 My son and I spent what felt like hours in there going through endless choices of great deals where we found him two great outfits, you can see more from our shopping trip here on google+! 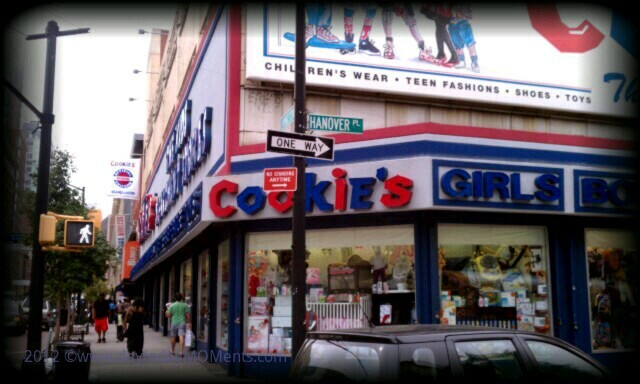 I've been to one Bronx location before, but it was nice to visit another location, which I learned was their largest store after tweeting with Cookies Kids on twitter. Follow them on facebook as well, you never know what you'll learn from them, maybe learn of a new deal? ;) While we were there we got introduced to the new Alva Kids app, an app that helps you find the right size for your child! All you need is your child's height and weight in order for the app to help you find the right size in many brands offered at Cookies Kids. The Alva Kids app is available for download free in the iTunes store right now, they are currently working on an Android version for those of us that don't have an iPhone/iPad. With this app you will be able to log in with your facebook account or create an account to have access to, whenever you need a size recommendation for a specific brand. 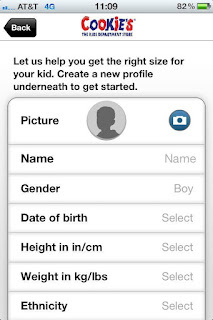 The app is very easy to use, all you need is a few very simple steps to get started, inputting your child's basic info. for use right away, and to save for later. 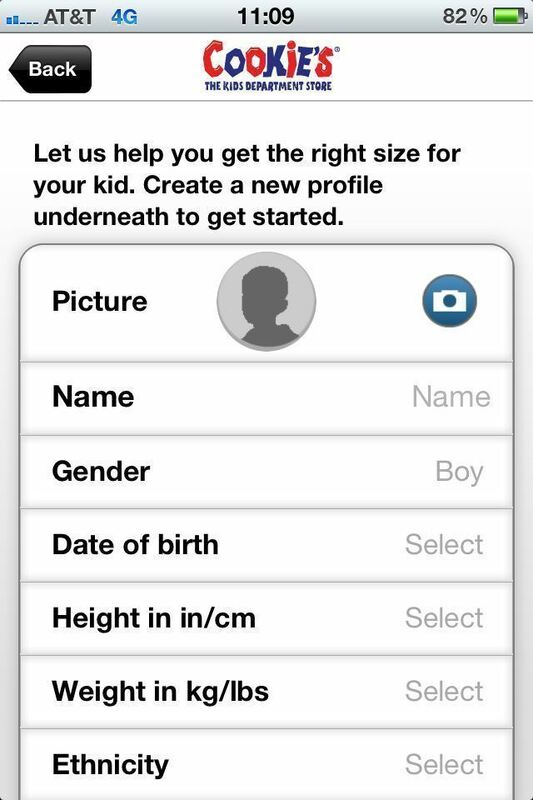 Once you got through the basic steps and build your child's profile, you will be able to select a brand, and it will give you the recommended sizes. It's that easy! 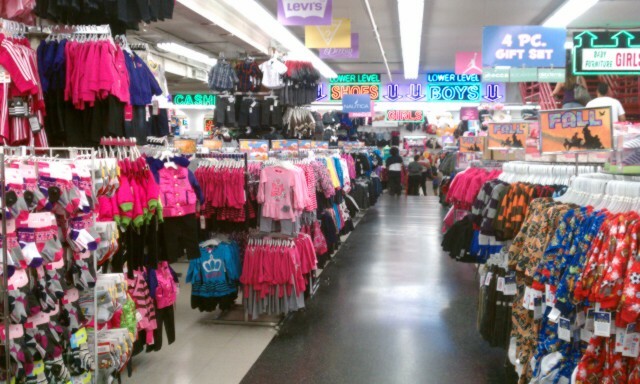 From the moment we walked in, it was "all your kids may need" galore!! After shopping around #CookiesKids, I learned of how useful of an app it is, specially for a store that carries so many different brands. So many brands do run differently and this app will help take that headache out of shopping for your children. I personally find it very useful if I'm shopping for nieces/nephews that all grow differently, and after the "2T, 3T" sizes are outgrown, I have no idea what size they are in anything. 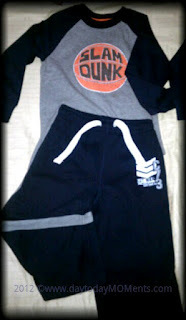 Now I will be able to simply put in their height/weight, save their profile and know what size is recommended. 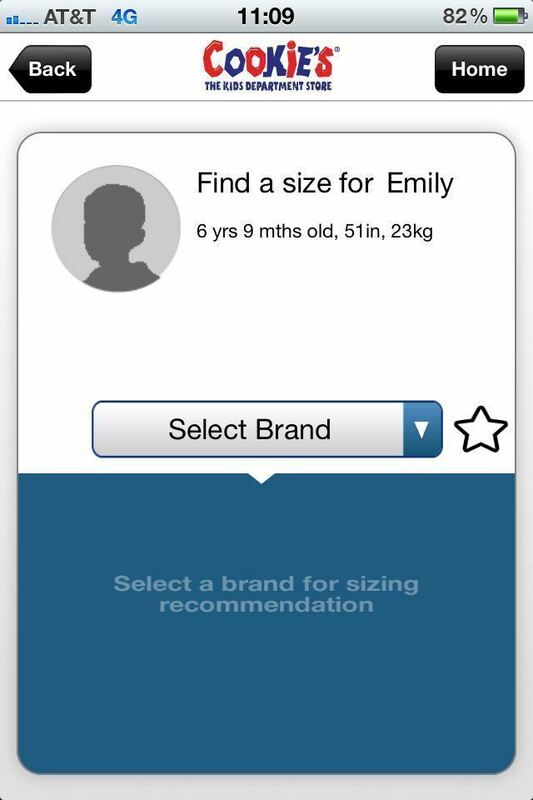 Even if your child is an average size for his/her age, this app will help you when brand's sizes run differently. 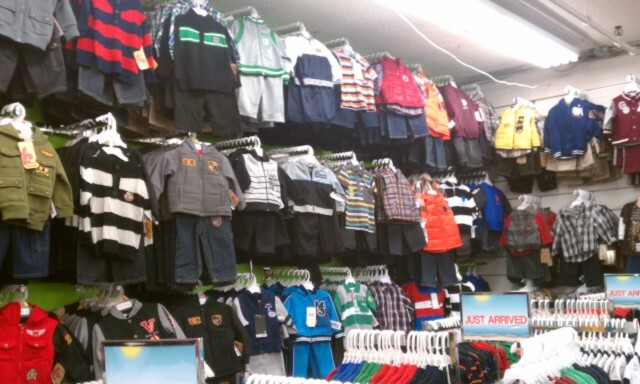 Found these great comfy, warm outfits perfect for fall for my son there for a great price. He's a size 4T..or so I was sure he was. We ended up getting a size 3T for the pants on the left and 4T on the right-another reason why the app is so handy! Be sure to check out the app, learn more about it here. He loves the outfits we picked out! Are you familiar with the Alva Kids app? Have you shopped at Cookies Kids before? Be sure to check it out for your next shopping, and find out how useful it is for yourself! If you don't have a store near you, remember you can also shop online at Cookies Kids.com for a great deals and tons of selection!